The A.K. Rice Institute and Affiliates are registered non-profit organizations operated exclusively for educational purposes in accordance with Section 501(c)(3) of the Internal Revenue Code. All membership dues and contributions are tax deductible. There are a number of ways to support the work of the institute, including making your tax-deductible contribution to one or more scholarship and dedicated reserve funds. 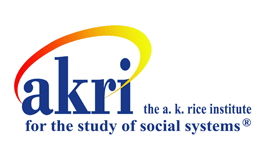 To make a credit card donation to the A. K. Rice Institute, please follow the links below to make your payment electronically. A contribution to our operations general fund. Though we have a very minimal administrative structure and are no longer employing a full-time administrator, it is critical to ensure our continued operations. These basic functions include managing the membership dues, inquiries, database, and mailing lists, as well as hosting and maintaining the website. Funds are also directed toward tax, accounting, and regulatory compliance, as well as managing deposits and payments for various AKRI sponsored events, including the Annual Residential Conference and Dialogues symposia. We endeavor to make our conferences and events accessible to a wide range of participants, preferably without regard to their ability to pay. In order to do this, we maintain a scholarship reserve that has been earmarked for this purpose. This fund is in memory of Dino Zaninni who passionately believed in the power of Group Relations and supported it through his work, teaching, and mentorship. The Faith Gabelnick Fund was created to honor Faith who, in addition to being a former AKRI President, was an ambassador to the international Group Relations community. This fund is used to support travel to and from International Group Relations events. The Texas Center Legacy Fund was established to support individuals in the AKRI Training and Certification Program in their development of group relations consulting skills. Financial assistance is available for participation in SG, LG or RAG consultationworkshops, conferences with training groups, and similar events. 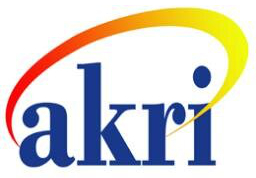 When the Texas Center closed in 2015, remaining funds were transferred to AKRI in commemoration of the Center’s long-standing commitment to training.